Me and the kids, originally uploaded by indiaeden. 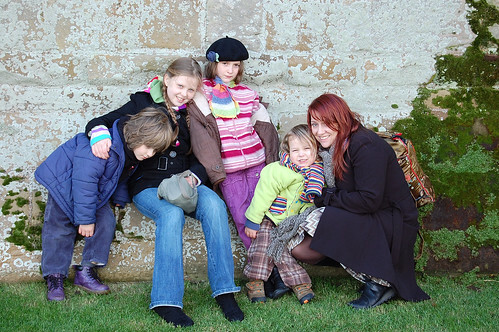 Just back from a fabby weekend in North Yorkshire. We ventured to Whitby, which was of course full of Goths. (It was Whitby Goth Weekend) Weirdly we haven't got a single stray goth in any of our photos,believe me there were lots of them. They all looked like they were having a great time too...weird for Goths! 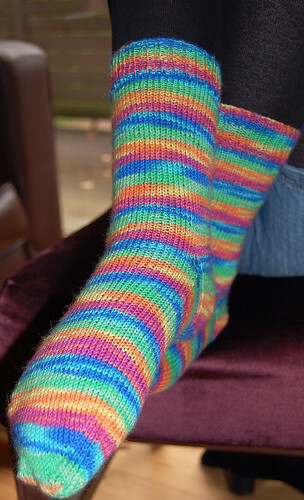 While away I finally finished the socks I've been knittying for the past 3 and a half years. They are far from perfect,but kept Indias feet cosy when we went for a very wet cycle ride through the forest where we were staying. Oh yes,and we found the lost beret. Glad you found the beret! The flower looks great on there. 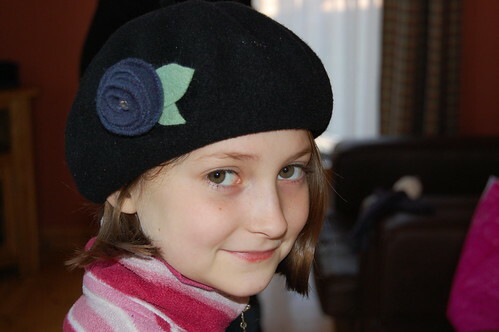 I love the beret and the flower, very pretty! Cool picture of you all.